This week, the Indonesian government is bringing together dozens of convicted Islamic militants and survivors of attacks in the hopes of combating radicalism and fostering reconciliation. 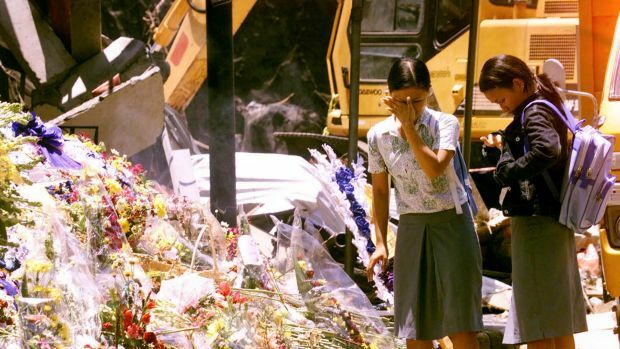 According to the director of de-radicalisation at Indonesia’s counterterrorism agency, Irfan Idris, about 120 reformed militants will apologise to dozens of victims including survivors of the 2002 Bali bombings and the 2004 bombing of the Australian Embassy in Jakarta. Indonesia has imprisoned hundreds of Islamic militants in the years since the Bali bombings. But its efforts at convincing imprisoned militants to renounce violence have had mixed results. In addition, other prisoners have been radicalised by militants in the prisons. Since 2010, at least 18 former militant prisoners have been involved in attacks in Indonesia, including a January 2016 suicide bombing and gun attack in downtown Jakarta that killed eight people, including the attackers. One of the survivors of the 2003 bombing of the J.W. Marriot hotel, Febby Firmansyah, said that he was initally so overwhelmed with anger that it worsened his health. However, he has since accepted what happened to him as an act of God. “I have forgiven them and it has even improved my recovery process and calmed me down,” he said. However, many victims have refused to participate in the government event because they can’t forgive the attackers or are still traumatised and are afraid to meet with convicted radicals. Idris, the counterterrorism agency official, said families of those killed in attacks endure psychological scars and economic hardship and survivors are often left with debilitating physical disabilities. But he said the government-sponsored event wants to encourage support for militants who reject violence. After release, militants are often ostracised, unable to find work and their children are condemned. This leads to some of them returning to their radical networks. Masykur Abdul Kadir, who in 2003 was sentenced to 15 years in prison for his involvement in the Bali bombing, said he believes the event will have an impact on both sides. “We can hear their suffering and see directly the impact of what we did in the past to the innocent people,” Masykur said.